What do you buy someone who has everything or is not excited by the latest gadget, game, or material possesion? The gift of a portrait is something very special. Apart from the value of the sitting and any product included, giving a portrait gift certificate encourages the recipient to arrange something that they might never have done. Portraits become more valuable and become treasured family heirlooms and become irreplaceable. Give the gift of a portrait by buying one of our personalised gift vouchers – click here to choose your gift, and pay for it on-line. Once you have purchased your voucher, we will email you a pdf proof of it for you to check the personalisation. Once you have confirmed that it is all correct, we will post it ready for you to send to the lucky recipient. Alternatively, you can have a pdf if you would prefer to send your gift by email. Once the recipient contacts us, we arrange the studio sitting, and welcome them to our custom designed studio where we will try and give them a great experience that they will enjoy even if they do not like being photographed. They are then invited back to see the photographs on our projection system so they can pick the image they want as a gift from you. 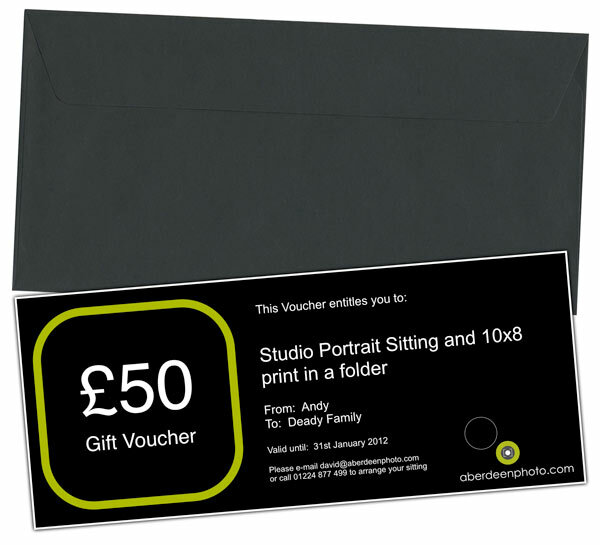 We have a range of vouchers for a portrait sitting and various different print options, as well as a range at different monetary values. However we can create a voucher for anything you require. 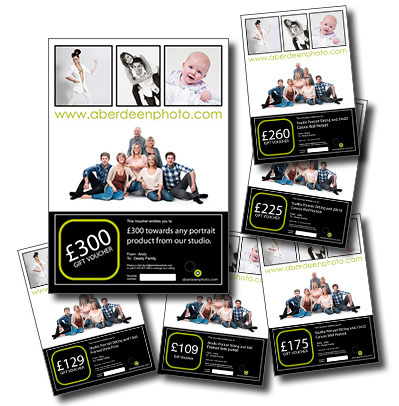 We will send you a personalised voucher as a pdf and you can send this by email or we can print on high quality photographic paper, and present it an attractive presentation folder and matching black envelope.